While sports fanatics were sobbing over their March Madness brackets, Robert Santoli was making waves on Wheel Of Fortune. The contestant solved nearly every puzzle on a recent episode of the game show, walking away with over $76,000 worth of cash and prizes, including two cruise vacations. 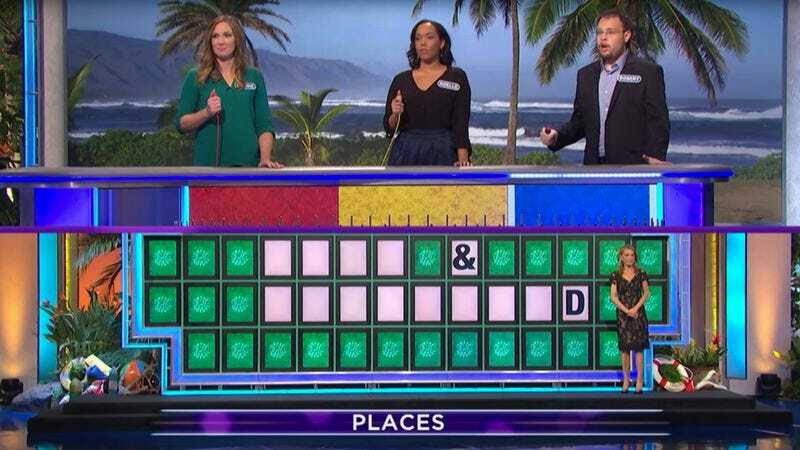 Luxurious trips aside, the most impressive moment during Santoli’s appearance was when he correctly guessed the clue “Port & Starboard” with only the letter “D” and an ampersand on the board. Host Pat Sajak seemed slightly surprised by the win at first, but soon grew accustomed to (and possibly tired of) hearing a “ding” from the player. Sajak later quipped, “Robert, what took you so long?” before Santoli quickly solved yet another puzzle. Thankfully, for anyone who missed the episode, the highlights of the game have been packaged nicely into a tightly edited video. The instant I got my theme, I immediately came up with an ever-growing list of puzzles themed towards cruises, sailing, fish, boats, anything on or in the water. Some I came up with in my head right away, like ‘Port and starboard’ ( :P ) and ‘Popeye the Sailor Man’. I opened up MS Word and began typing anything that came to mind. Then, I went to this extensive WOF episode guide and did a Ctrl-F search for ‘Cruise’, ‘Fish’ and ‘Sea’ and made note of the dates. Then I went to the compendium and wrote down all the themed puzzles from those weeks, marking such puzzles with an asterisk to note that they had been previously used on the show. I then alphabetized the list to organize it by category. Instead of listening for Pat to announce the category, I just look at the Used Letter Board since it shows up there about a second before he says it. I see that it’s Places and I think “Could it really be PORT AND STARBOARD?” and then the blanks come up… with an ampersand where it’s supposed to go! It’s the answer after all! I can’t believe it! Let’s just make sure Vanna touches a D (poor choice of words, I know…) and BAM! I didn’t realize how much I spazzed when I pressed the buzzer. :P The crowd went nuts, and I’m really thankful that I had a great crowd. I loved the feeling of the audience cheering for us as the cameraman waved that camera in all directions like some crazy 90’s MTV video. The celebration was obviously a lot longer than what you saw. Pat walked back on stage and told Emil, ‘Good to see you again’ and ‘I think he has you beat’ or something like that. My mom was wiping away tears as Dad says ’You did it!’. Heck yeah, I did! And I’m glad I did it right! I can’t wait to see how the site reacts to this! Everyone on the staff thought I knew the puzzle with RSTLNE, but I didn’t! That’s what makes it even more amazing, I think. My picks were really lucky.